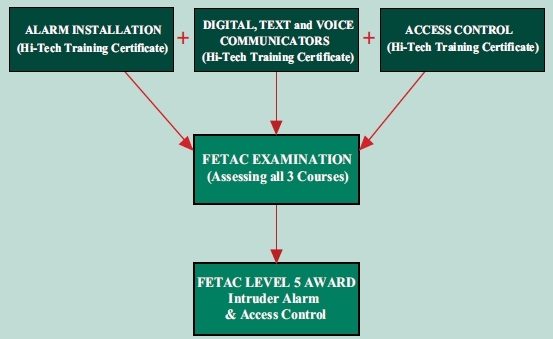 The Hi-Tech Training Digital Text & Voice Communicator Course is designed to provide participants with the skills required to connect Digital, Text & Voice Communicators to an Alarm Control Panel for transmission of Digital status signals via the telephone line, GSM Network or IP network to a central monitoring station. The Digital Communicator Course’s practical application and our highly experienced trainers ensure that this course is second to none. The course is technical and practical in nature and is suitable to participants who have successfully completed the Hi-Tech Training Intruder Alarm Installation Course or equivalent. Digital Text & Voice Communicator Course runs over 1 day. The next course commences on Saturday 25th May 2019. View our course schedule for and visit for our fees and booking. Connect and programme a Digital Communicator. Connect and programme a Text (SMS) Communicator. Connect and programme a Voice Communicator. Be aware of regulatory requirements and communication protocols. Be aware of design considerations for alarm installations using digital communicators. Review of microprocessor control panel. The Digital Communicator – Slow and fast formats. 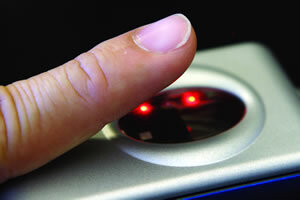 Digital, Text and Voice Communicator triggering methods. Connecting and programming the Communicators. IS 228 requirements for monitoring stations and Digital Communicators. Stand Alone and Integrated Communicators. Communication protocols. Garda Response Policy, Verification Technology and EN50131 requirements. Central Stations’ verification of alarm signals. Specific design considerations for alarm systems using Digital Text & Voice Communicator. Please note: This course can be used as one of the elements leading to FETAC QQI – Level 5 Component Award – Intruder Alarm & Access Control (5N1771).